Sts have to write sentences using ha/as got according to the picture. This ws reinforces use of possession& clothes, food vocabulary.Sts can talk about the different picture.They can also ask & answer questions too. 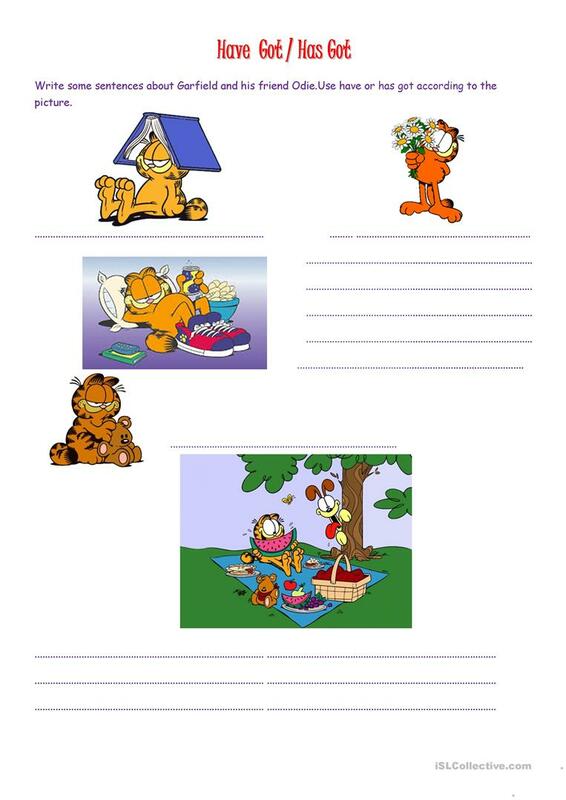 This downloadable worksheet is best suited for elementary school students and students with special educational needs, learning difficulties, e.g. dyslexia at Beginner (pre-A1) and Elementary (A1) level. It is a useful material for practising HAVE GOT or HAS GOT in English, and is excellent for improving your pupils' Speaking and Writing skills. It focuses on the topic and words of Food.